CHESTERFIELD, MO - MiTek launched a new brand of pneumatic, collated gun nails, called MiTek TECO. The MiTek TECO collated nails have a color-coded and head-stamping identification system that identifies the nails’ length and diameter, before and after installation. This unique color-coding and head-stamping identification system allows a building inspector, or installer, to determine that the right nail has been used when installing MiTek products, without having to remove a nail for inspection. Additionally, engineers who need to ensure that the right nails are used as specified can survey a jobsite and determine proper fastener selections by simply looking at nail colors and head stamps. Bright nails. MiTek TECO bright nails feature a color to indicate the nail length and a numeric head stamp to indicate the nail diameter. The color purple indicates a 1-1/2” nail, and the color blue indicates a 2-1/2” nail. For head stamps, a #3 indicates a 0.131 inch diameter, a #4 indicates a 0.148 inch diameter, and a #6 indicates 0.162 inch diameter. Hot-dip galvanized nails. 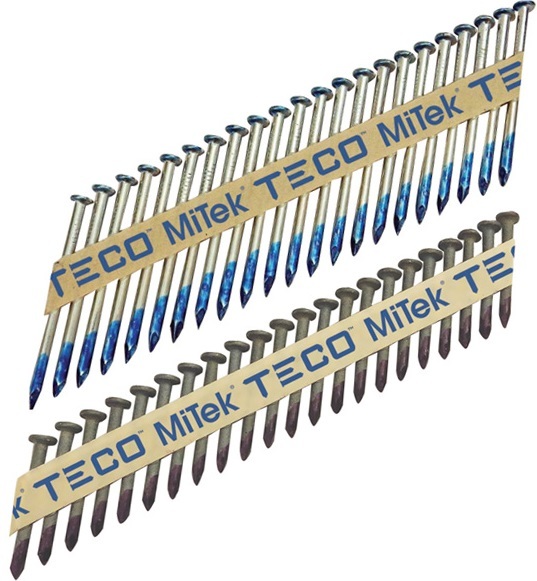 MiTek TECO hot-dip galvanized nails feature a letter stamp on the head to indicate length (A = 1-1/2” and E = 2-1/2”) along with the numeric head stamp to identify the nail diameter. Available in “bright,” hot-dip galvanized, or stainless steel, MiTek TECO nails can be installed with the majority of the popular 33-degree paper tape pneumatic nail guns (plus or minus 2 degrees). MiTek TECO nails are manufactured in lengths of 1½ or 2½ inches, in diameters of 0.131”, 0.148”, and 0.168”. MiTek TECO nails are certified by ASTM F1667 (ASTM A153), and have been evaluated by ICC-ESR 3768 - 2015 & 2012 IRC/IBC. 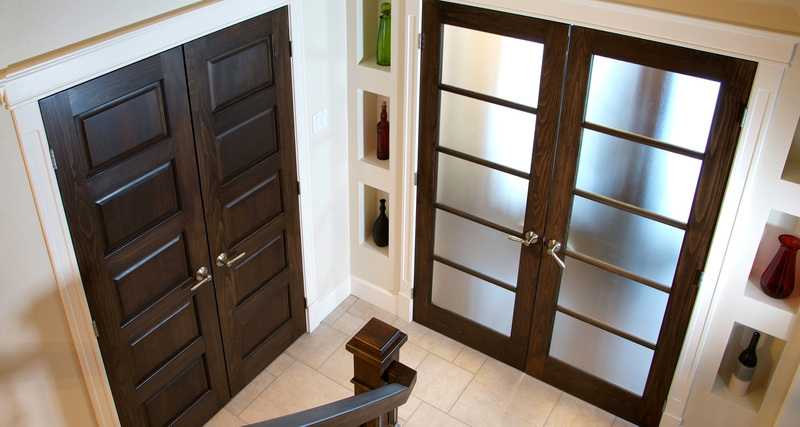 MiTek Builder Products division will sell and represent the product nationally. 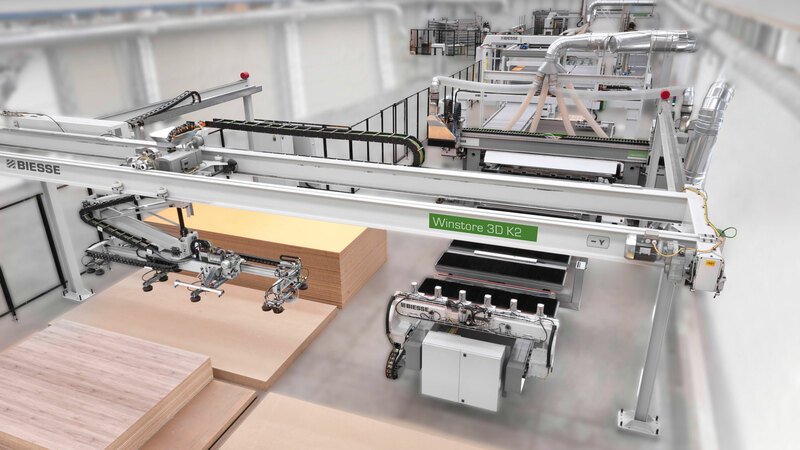 About MiTek - MiTek is a diversified global supplier of software, engineered products, services, and equipment to the residential, commercial, and industrial, construction sectors. MiTek Industries’ passion for its associates’ well-being and its customers’ success is the company’s hallmark. A Berkshire Hathaway company (NYSE: brk-a, NYSE: brk-b) since 2001, MiTek has operations in more than 40 countries on six continents. Learn more: www.MiTek-us.com and www.MII.com.